Students Against Sexual Assault, an extension of the A.S. Human Rights Board, has made progress with its list of Asks regarding sexual assault and sexual harassment on campus, following meetings with members of UC Santa Barbara administration. The organization first published the list of Asks on Oct. 15. An updated version of the Asks was then posted to SASA’s website on Feb. 4. This first Ask has already begun implementation – there was a town hall on Nov. 7, and the next town hall is set for Feb. 25, according to Students Against Sexual Assault (SASA) director Emily Montalvo-Telford. “I think the last town hall went well, I’m happy that we left the town hall with written-down agreements that we all talked about and what each individual in that room is responsible for,” Montalvo-Telford said. Montalvo-Telford added that SASA has spoken to multiple members of UCSB administration in order to begin implementing the rest of the Asks, including Vice Chancellor for Student Affairs Margaret Klawunn, UCSB Title IX Officer Ariana Alvarez, C.A.R.E. director Briana Conway and Dean of Student Life Katya Armistead, among others. The original list of Asks did not specify the amount needed to fund the campaign. Montalvo-Telford said SASA hasn’t spoken to administration about this Ask yet. Montalvo-Telford said that there seems to be some pushback from administration in regards to updating UCSB’s Public Accountability Report so it models UCLA’s, but she is confident that SASA can “work something out” with the administration. UCSB administration has yet to agree to make amendments to its current Public Accountability Report. “We definitely need to have more conversations about what this Public Accountability Report would look like for our campus,” Montalvo-Telford said. UCLA’s Public Accountability Report provides “anonymized descriptive statistics about complaints, investigations, and sanctions that have been meted out in the past,” according to UCLA’s Equity, Diversity, and Inclusion website page. “The difference between our campus and the UCLA campus, to my knowledge, is that the UCLA Title IX office and the UCLA Discrimination Prevention office work together to produce this report, versus here, there seems to be a greater distinction between [those two entities] when they’re producing these numbers,” Montalvo-Telford said. The Title IX office has said that they made edits to the website in order to increase accessibility, according to Montalvo-Telford. In order to address both of these Asks, SASA has created subcommittees that consist of Alvarez, Conway, Associate Dean of Students Kim Equinoa, and Director of the Office of Student Life Miles Ashlock. Currently, the fraternities and sororities are the only organizations required to undergo the Standard of Excellence Training. However, Montalvo-Telford wants that to expand that. She said she believes that the fourth Ask is feasible. The first subcommittee meeting is this week, according to Montalvo-Telford. SASA has spoken to Equinoa about creating an “online, accessible format of Gaucho FYI” and that Equinoa confirmed that it was possible, according to Montalvo-Telford. Montalvo-Telford believes it can be implemented in time for next year’s Gaucho FYI content. SASA also plans to work with administration to provide next year’s Gaucho FYI presentation. Overall, Montalvo-Telford is satisfied with the progress that has been made regarding the Asks, and she believes that the administration has been very upfront and realistic with SASA. 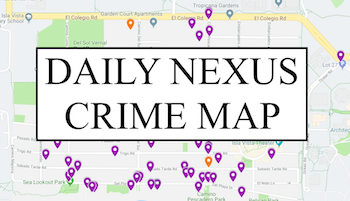 A version of this article appeared on page 4 of the Feb. 20, 2019 print edition of the Daily Nexus. 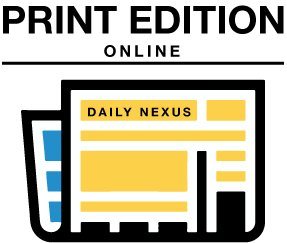 Simren Verma is the university news editor of the Daily Nexus and can be reached at news@dailynexus.com or simren@dailynexus.com.